As a modern western society we are blessed with the privilege of choice. We get to decide where we live, what professional path to follow, who to marry, and how many children to have (if any). Hell, we even get to choose what type of dietary lifestyle we want to follow and what brand of water to drink. We live in an age of unabashed consumerism. Yet, how many of us stop to consider that what we call “choice” is in fact, privilege? We are privileged to live the way we do. Not everyone is so lucky. Not that long ago, neither were we. Here in lies the problem; we have forgotten that not that long ago, we had little choice over our lives. Think about how lucky we are that we can wander the supermarket aisle, making choices about what food we want, what brand we want and how much we want. A 100 years ago this would have been unthinkable. Oh sure there were small mercantile shops in which one could find much needed supplies, but the norm was to produce most of what one needed at home. Now we have aisles of laundry soap to choose from, but our great-grandmothers made their own soap. People had little choice when it came to consumer goods and services. Today, we can order just about everything we need online. Our choices do not stop at consumer goods. We assume we have other choices as well. The age of consumerism has changed our perception of choice. Many people now think they have the right to choose what medical advice to follow, even if it means the chance of harming other people. Because they have grown up in a society of choice, they erroneously believe everything is a choice. 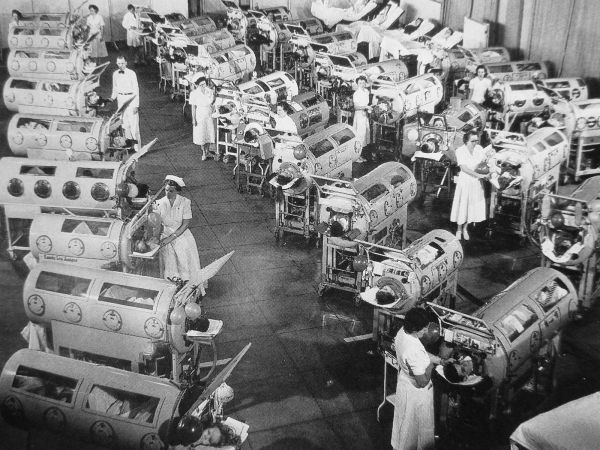 Prior to 1952, parents had little choice when it came to polio. Before that it was smallpox. If a child came down with either, parents had little choice but to watch their child suffer and hope for some miracle cure. My own grandmother came down with polio in the 1930’s. When the doctors told her she would never walk again, she gritted her teeth and said, “I don’t have a choice, I have 5 young children. I will have to walk again”. She was one tough lady. She did in fact walk again, but with a very noticeable limp. Her left leg was twisted sideways. Her youngest child contract the disease, yet was one of the lucky ones, she has no noticeable side effects. Far too many children and adults were not so lucky. There was no choice in the matter, you got it or you didn’t. Thankfully now, there is a vaccine for polio. We are privileged to have it. Now we don’t have to worry about another polio epidemic breaking out and causing mass suffering. Or do we? Because there are some people who now think everything is a choice, including inoculating their children against childhood diseases, we may see epidemics again. Here lies the irony; because we have not seen a childhood disease epidemic in over 60 years, many people have forgotten what it is like, and because of this, we may have another one soon. 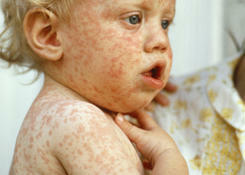 To vaccinate or not to vaccinate should not be a question. It should not be treated like a consumer choice. Years ago, as a society we already made that choice for you. We chose not to watch our children suffer, die or become disfigured by childhood diseases. We were privileged to have a government who agreed and used tax dollars to fund cures of childhood diseases. We are now privileged to live in a world free of childhood diseases. There are many choices we now get to make in our modern world. Deciding to expose us to more outbreaks is not one of them. There is a difference between choice and privilege. And the sooner you learn this, the better off society will be. On a related point, I was fascinated some years ago to see how people reacted to my home state promulgating its rules about quarantines for diseases. Some people couldn’t help but shout about how these regulations amounted to a police state and a massive infringement on their liberties. Not only had they forgotten what steps had to be taken to eliminate contagious diseases, they simply couldn’t accept that the state should have the power to regulate behavior in the name of public health and safety! Thanks for sharing this. It illustrates my point. Because many have forgotten what pandemics look like they forget what is needed when one breaks out. I wonder if these same people had anything to say about the recent Ebola scare? Did they think the government went overboard or didn’t do enough? I’ll bet they were inconsistent and thought the government wasn’t doing enough, because they felt threatened after the way the media blew up a few cases into a world-ending epidemic. Previous Previous post: Station Eleven and why I’m not on board.